When leaders of the Summit League decided to relocate the organization’s headquarters from Elmhurst, IL, to Sioux Falls, a permanent headquarters at the Sanford Sports Complex was needed. 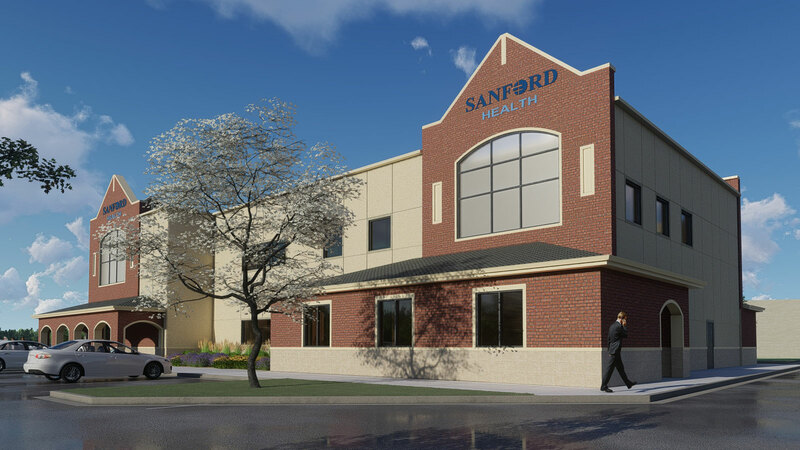 The offices at the Sanford Sports Complex will share space with a new Sanford Clinic Orthopedics location. In addition, the league will partner with Sanford Health to support and raise awareness to battle and defeat Type 1 (juvenile) diabetes. League officials were eager to move from a leased office to their own building. The TSP team understood the importance of moving quickly and came up with an accelerated schedule that would save not only time but money. Sanford Health officials had proposed a 12-week schedule for the schematic development, design development, and construction document with two bid packages and a November 2018 construction start. Our team suggested compressing the work into six weeks. Sanford Health officials saw the advantages of the aggressive schedule, which include savings in the construction package. That schedule also allowed more time to enclose the project and will save the Owner money on heat and cover for winter construction. 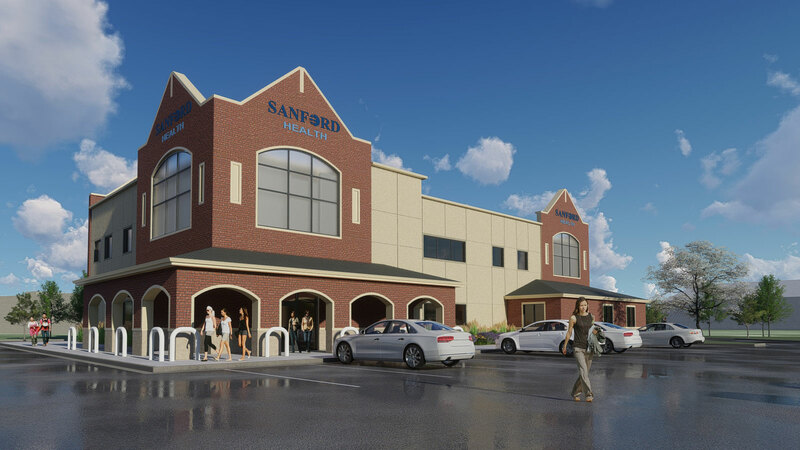 As a result, Sanford Health will be able to open its 7,600 sf Orthopedic/Acute Walk-in clinic in August 2019, earlier than expected originally. The clinic will operate on the main level. 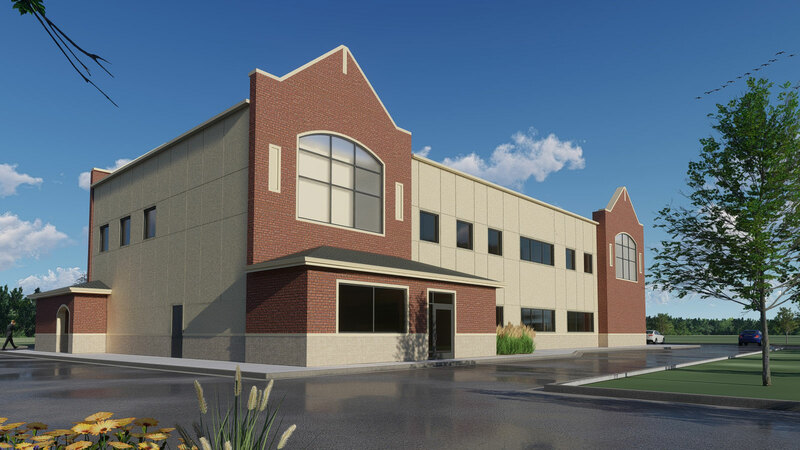 The Summit League will occupy 7,020 sf of office and support spaces on a second level that also will include 1,850 sf of shell space for future expansion.